How does climate variability affect albatross reproduction? Climate variability will have important effects on the future of marine ecosystems and may present a significant challenge for marine top predators. 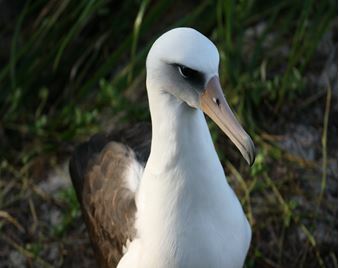 This project investigates how current patterns of natural climate variability (e.g., El Niño Southern Oscillation events) impact Laysan and black-footed albatrosses that breed in the Northwestern Hawaiian Islands, then utilizes this information to model possible responses of the birds to long-term climate-driven changes in ocean conditions.